Eleven years ago, when Phil Jackson first wrote these words in Sacred Hoops, he was the triumphant head coach of the Chicago Bulls, known for his Zen approach to the game. He hadn’t yet moved to the Los Angeles Lakers, with whom he would bring his total to an astounding nine NBA titles. In his thought-provoking memoir, he revealed how he directs his players to act with a clear mind–not thinking, just doing; to respect the enemy and be aggressive without anger or violence; to live in the moment and stay calmly focused in the midst of chaos; to put the “me” in service of the “we”–all lessons applicable to any person’s life, not just a professional basketball player’s. This inspiring book went on to sell more than 400,000 copies. 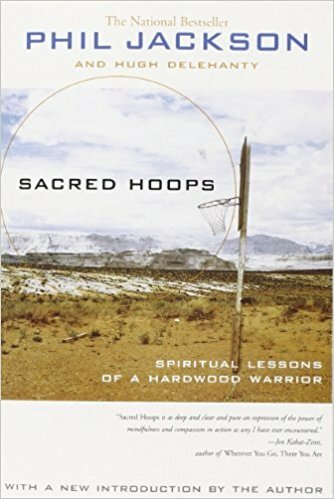 In his new introduction, Jackson explains how the concepts in Sacred Hoops are relevant to the issues facing his current team–and today’s reader.